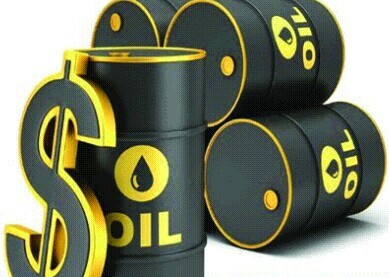 United States (U.S.) crude oil imports from Nigeria in July plunged to its lowest level in three years and are continuing to slip, as Asian and European buyers increase purchases, trade flow data from Thomson Reuters and market intelligence firms, Genscape and Kpler, indicated. A narrowing spread between benchmark Brent and Oman crude futures, trading at less than $2 a barrel compared with more than $4 in May, has made Nigerian crude more attractive to Asian buyers than U.S. refiners. World Energy News, quoting Thomson Reuters trade flow data, said Nigerian crude exports to Asia hit 664,000 barrels per day (bpd) in July, the highest in two years. That shift, cut Nigerian crude arriving at the U.S. East Coast in July to 1.3 million barrels, or about 43,000 bpd, the lowest since June 2015. That was down from 7.3 million barrels, or 244,596 bpd, in June, according to the trade flow data. The East Coast refiners have limited access to shale flowing from Western fields and tend to run imported crude. The decline is poised to continue. August U.S. arrivals from Nigeria are tracking to 91,800 bpd, according to the flow data, down from 242,000 bpd in the same month last year. European imports of Nigerian crude also rose in July to 602,000 bpd, from 419,000 bpd the previous month, according to the report. The data showed that only two oil tankers, the Marshall Islands-flagged Seacharm and the Liberia-flagged Pserimos chartered by oil trader Vitol SA, carried Nigerian crude to the U.S. East Coast in July, discharging in Philadelphia and Delaware Bay. That was down from eight tankers in June. According to the data, U.S. East Coast refiners took in slightly more domestic waterborne shipments from the Gulf Coast, stating that 16,000 bpd between June and July deliveries from Algeria, Russia and Canada also helped offset the drop from Nigeria, increasing by a combined 181,000 bpd in July, according to Genscape. “The lion’s share of the decrease in incoming Nigerian imports to the East Coast was offset by imports from other countries,” said Dylan White, a Genscape oil markets analyst.